After 7000 miles, and 25 hours of footage, "Sweet Misery" will reveal one of the most pervasive, insidious forms of corporate negligence in the history of the industrial revolution. The toxic long-term effects of aspartame are often dismissed as a"hoax" by the sweetener industry and at least five other internet websites. The real footwork, however, unravels something less comforting than a mere "Hoax." 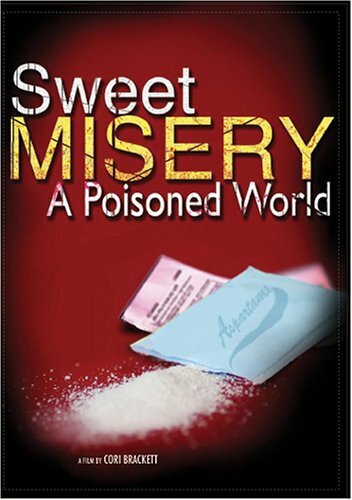 "Sweet Misery" is the working title of a documentary released by Soundand Fury in June of 2004. Our primary investigation includes interviews with doctors, lawyers, people who have had health problems which they associate with aspartame usage, advocates, and many others. "Aspartame is inherently, markedly and uniquely unstable in aqueous media"" is a quote from the congressional record in 1985, and yet it was approved for use in soft drinks and other beverages. Dr. Woodrow C. Monte wrote: "Methanol [one of the breakdown products of aspartame]] has no therapeutic properties and is considered only as atoxicant. The ingestion of two teaspoons is considered lethal in humans"" (Monte, Woodrow, "Aspartame: Methanol and the Public Health," Journal of Applied Nutrition, Vol. 36, Number 1, 1984, p. 44). Though it can hardly be considered good fortune to have an immediate reaction to aspartame, at least you are spared the potential long-term ticking time-bomb of a large array of neurological illnesses. These include, but are not limited to Brain Cancer, Lou Gehrig's Disease,Graves Disease, Chronic Fatigue, MS and Epilepsy. In 1981 Donald Rumsfeld was CEO of Searle, makers of Aspartame.